Alyssa Cooper is a current Junior at Wentworth Institute of Technology majoring in Computer Science with a dual minor in Electrical Engineering and Applied Mathematics. Will: Hey Alyssa, how’s it going? 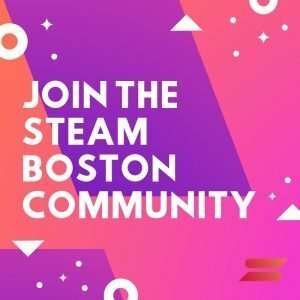 So welcome to the STEAM Boston Podcast. So tell us a little about yourself. Alyssa: So my name is Alyssa Cooper. I am currently a junior at Wentworth Institute of Technology. I’m majoring in computer science, with a dual minor in electrical engineering and applied math. I’m also a hackathon organizer and a member of SWEET (Student Wellness Education and Empowerment Team). Will: Awesome. So what got you interested in computer science? Alyssa: When I was young, my uncle played a lot of video games. And he actually loved developing video games, and it was really cool watching him build things. And I was like, “Oh man, how do you do that?” And I wanted to learn, so he taught me HTML when I was about 12. And I built a little game in HTML5. And from there, I’ve been coding since. And it’s been a lot of fun. Will: So what games do you play? What are your favorite games? Alyssa: My favorite game of all time is Fallout 4. I love that game. I also play a lot of Nintendo games. I’m definitely a big gamer. I spend a lot of time gaming. Will: Do you have a Switch? Alyssa: I do have a Switch. I do. Alyssa: Favorite game on Switch: my game of 2018 for Switch is Celeste. It’s an indie, and it’s really good. It’s kind of intense. Will: Nice. Cool. So, where do you see yourself heading into with your computer science degree? Do you want to head into more of a developer route, or what route do you see yourself going into? Alyssa: I’ve always seen myself going into a development route. And that was up until I did my last co-op, and I realized I really liked product management. So the whole aspect of product management is that it’s less dev, but more configuration. And kind of scoping out what you want this product to look like. So you do a little bit of dev work, but it’s also a lot of design and creativity within it. And I really like that. Alyssa: It’s really cool, coming up with an idea and then see it come to life. And you code on it, but you also direct the team and have them help you make that dream. Alyssa: So, that’s the route I want to take. Will: So you get the opportunity to speak with a lot of stakeholders and … I had to listen to the Customer Success team, and learn from customers and see how can you build this product and … Assuming that product is like your baby. And you can see it grow to a big platform. It’s crazy. Alyssa: Yeah, there’s also a lot of collaboration involved. And I like that aspect. I love coding with friends. I think it’s a lot of fun, to have different minds come together and build something. And that’s why I like hanging out at Accelerate. That’s the entrepreneurship center at Wentworth. Alyssa: I love hanging out there, because you see so many different majors. And you don’t know what you can come up with when it’s more than just a computer science mindset. You’ve got an industrial design mindset. And you’ve got a business management mindset. So that’s why I like product a lot. It definitely is the best of both worlds. Will: Tell us a little about your involvement with Accelerate. Or expand more about the Accelerate program at Wentworth. Alyssa: Accelerate is an awesome program at Wentworth, where if you have a cool idea, build it, go to Accelerate. And get funded for it. They have PitchRounds once a semester, and a lot of kids will go there with whatever they build, or ideas they have, that they haven’t started on yet. Pitch these ideas to actual investors for fundraising up to $10,000. Alyssa: For the last six months, I’ve been building out an AR Playground. So essentially, what that is is you take your phone, and you get a pool cardboard or something similar to that. And you go outside and suddenly, your jungle gym is no longer a jungle gym. It’s a coin collecting game. Alyssa: Or it’s a glove on the ground. So, that’s what I’ve been working on for Accelerate, and hoping to pitch this summer. Will: Awesome. Oh, the amount of possibilities that there are in AR. It’s crazy. Alyssa: AR’s a lot of fun. It’s been really cool. I never thought I’d get into VR/AR. But one day, I was bored. Looked into AR, and decided to start playing around with it. 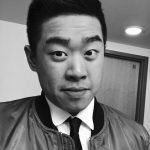 Will: So, what coding languages do you use for AR? Yeah, basically. Alyssa: So, right now, I’m actually using React Native. I went to React Boston over the summer, it was early September, maybe. And from there, there was a talk about AR and React. And I was like, “Okay, this is really cool. How do you make this happen?” And I watched this really cool talk on how to use React Native to bring AR really anywhere. And that definitely inspired me a bit. Will: Awesome. Alyssa, next question is, let’s delve into more of your extracurricular activities. You were involved with HackWITus. What was your role in HackWITus? Alyssa: I am the lead organizer of HackWITus. Last year I was co-leads with Ethan Arrowood. This year I will be taking the reins full on. It’s really just a lot of teamwork, collaboration, and making sure things run smoothly. I serve as a point of contact for my team. So if they ever need anything, I’m the first person they come to. Alyssa: It’s really cool, building up a hackathon. So HackWITus started about three years ago. And the numbers have been exponentially growing. With this last HackWITus, our goal was diversity. We wanted to make this hackathon diverse, inclusive, accessible. And our numbers showed that. Alyssa: We definitely had a wide diverse group at HackWITus. And it was a lot of fun. It was awesome. There was so much food, so many great projects that came out of HackWIT. It was awesome. I loved being a part of HackWITus. Will: Even with the interview I did with Ethan, he spoke a lot of honing on diversity, and working with the Diversity and Social Justice Center, of how to be inclusive at the event. And I think the event went really well. So congrats. Alyssa: Thank you. Yeah, it was awesome. You had a lot of great partners. 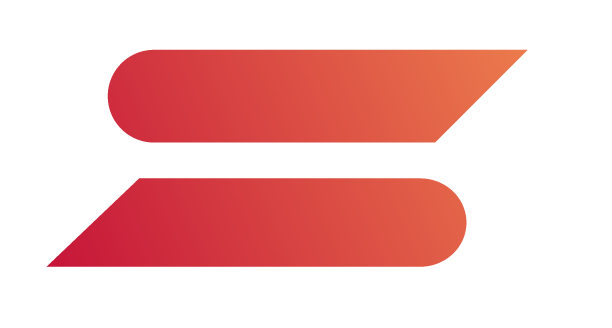 We have a potential sponsorship that is going to be huge, which I’m hoping to announce in late January for next year’s hackathon. So, that will be awesome. Stay tuned for that. Alyssa: Every year at HackWIT, someone new amazes me. Or, large groups of people amaze me. It surprised me how many people actually come to these hackathons, and will learn a coding language, and build something from scratch within 24 hours. Alyssa: So this map showed what each year would look like and so on. And it goes through 20 years. And it just shows, as you move things around, like, “Oh, if we use 25% more cars, this is how much it will damage our planet. Or, if we cut down 5%, this is how we can save our planet.” It was really cool. Definitely want to link you to these projects, because they were awesome. Will: Awesome. For high-school students that might be coding for the first time, using resources like freeCodeCamp, Khan Academy, what advice do you have for high-school students that, by starting to learn how to code, and want to pursue a computer science degree? What advice would you give for someone looking to start? Alyssa: Get into open source software. That is the best advice I can give anyone. If you’re getting started with coding, and you’re trying things on freeCodeCamp, don’t be afraid to go onto GitHub and look at Open Source Projects with the tag Beginner. And attempt them. Because more than likely, someone will help you out with it, if you don’t understand it right away. But you will learn so much from doing that. Alyssa: I thought that was really cool to contribute to, and be a maintainer on. Because you see a ton of new people contributing, and working hard and trying to tackle something. And you also see this project that was started, evolving into something great. Alyssa: And another example of this, my friend Ethan, he’s got a new open source project out currently. And I’m co-maintaining that. And it’s really cool seeing the amount of people who are like, “Oh, man, I want to jump on this, I want to contribute.” So, I definitely like working on projects with people I know, and seeing things they’ve worked on, grow, and other people showing an interest in them. Will: Nice. But now we’re going to transition into the fun questions. So, if you could have one super power, what would it be? Alyssa: All right. So, instead of a super power, I’d rather have a super suit. Is that an acceptable answer? Alyssa: So, I would want to be like Iron Man. Will: What kind of specifications would you put on it? Any special modifications? Alyssa: So, he can fly and stuff. Iron Man’s suit is pretty decked out. I like it; it’s really cool. I think I would want … hmm … I think I’d probably add some wings to it. And then he has J.A.R.V.I.S. But I think I would want something a little bit cooler. I think I’d want more of an ability to fly, but also I want my suit to go invisible. I’d want like a stealth Iron Man suit, I think. Alyssa: Better flying capabilities. I want to go invisible. And I want an enhanced J.A.R.V.I.S. Will: Nice. All right, next question is, if you were stranded in an island, what three items would you bring? What three items would you bring? Alyssa: Oh, wow. I would definitely bring my comic collection, because I love comics. I would bring a record player and some records. Don’t know how I’m going to plug it in, but I love music. And I listen to my record player every day. So I need to find a way to make that work. And I’d probably bring a burrito, a single burrito from Amelia’s. Will: All right, a single burrito from Amelia’s. A record player that … okay, so the island’s gonna have wireless power. So you’re gonna be jammin’ to those beats. A burrito, and some comic books. Will: That’s amazing. All right. So, any favorite places in Boston? Alyssa: So I know I just mentioned Amelia’s. Amelia’s is definitely one of my favorite places. I love burritos, favorite food. Love going to Amelia’s for burritos. Alyssa: Another great place, a little bit outside of Boston, but Brookline, still very close, Brookline Booksmith. And New England Comics are right across the street from each other. Love going to that strip in that area, because it’s just really, it feels really homey there. Brookline’s right next to Boston, and they have such a cute little setup of great food, and great shops. So, love that area of Boston. Alyssa: And then, a third place would probably be the Harbor. Because that’s one of my favorite places to bike to, or to run to. Will: Nice. Brookline. Best of both worlds. Food, and that strip is amazing. Alyssa: Oh, yeah. There’s a Korean restaurant in that area that I absolutely love. And I need to go back there again. I’ve been there twice, and every time I go there, I’m amazed at how the food gets better each time. It’s awesome. Will: Is it like Korean barbecue? Alyssa: No, it’s … I can’t remember the name of the place. It’s just authentic Korean food, and it’s really good. Will: Any Korean dishes that you like? Will: That’s a hard one. Alyssa: That’s a hard one. They have this tofu soup that’s really good. I don’t know the actual name. But there’s a tofu soup, and it’s delicious. It’s very spicy; that’s why I love Korean food, because it’s super spicy. And there’s also Tteok-bokki. Love Tteok-bokki. Very good. Alyssa: Yeah. It is. Oh, my god. Just one cup of that and that’s enough to last me for the whole day. It’s delicious. Will: Yeah. Any shoutouts to friends, family, or professors? Alyssa: Shoutout to Ethan Arrowood. He is awesome. One of my best friends, one of the best developers I know. He’s just an awesome kid. Shoutout to Professor Memo at Wentworth. He is one of the coolest professors ever. He does so much for his students, and he’s a big supporter of HackWITus, and I really appreciate that. Alyssa: And shoutout to everyone at STEAM Boston. Will: All right, thank you. Alyssa: You’re all doing amazing things. And it makes me really happy to see that you’re building such a strong community out there. So, thank you. If you have any questions feel free to reach out Alyssa on Twitter. You can also find Alyssa on GitHub and check out Alyssa’s website. 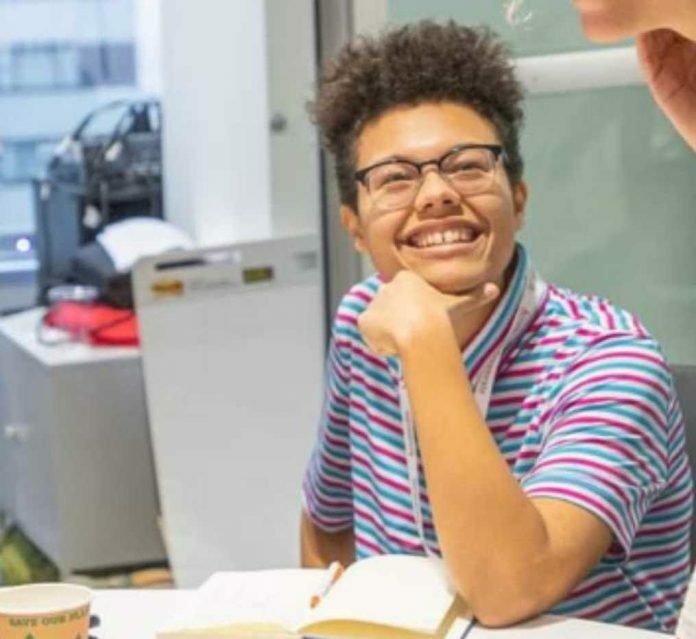 STEAM Boston is a digital media company that inspires and empowers students & professionals in the "Science, Technology, Engineering, Arts, and Mathematics" field by providing career advice and stories.